Have you ever wandered through your local farmer’s market and thought, “Boy, I wish I could buy weed here.” No? Is that just me? Well, if you have, look no further. 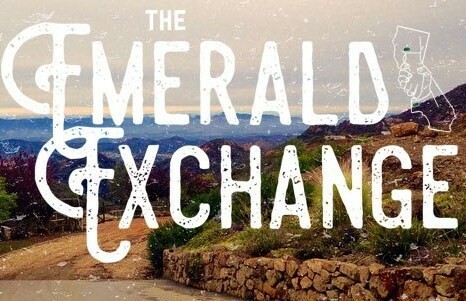 The Emerald Exchange is just what every cannabis enthusiast wants and more. Taking place Saturday and Sunday August 12 & 13 in Malibu, the market combines growers, brands, and cannabis lovers (medical and recreational) with art, food, music and a higher state of wellbeing. Despite being around for less than a year, it’s gaining popularity fast. 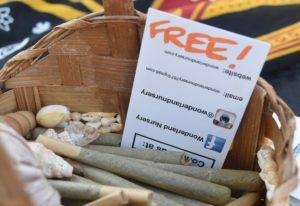 Just last March the sold-out event brought together some 500 people to relax, network, shop, promote and learn more about Cali marijuana. Will this August’s fourth installment bring in record crowds? Let’s find out what the Emerald Exchange has to offer! Should You Attend the Emerald Exchange? Gone are the days of getting a sketchy bag filled with what could possibly be oregano in a dimly lit parking lot. At the Emerald Exchange more sophisticated cannabis connoisseurs like yourself can not only buy sun-grown NorCal weed at a reasonable price, but also meet the source, learn how it’s cultivated, and more. “The way that people are able to approach the craft of growing their product up there is really special,” said co-founder Micheal Katz. Interested in more than flower? Check out some of the SoCal brands attending: AbsoluteXtracts, Care by Design, Evox Labs, Foria, Green Goat Family Farms, Jetty Extracts, Redwood Roots, and over 30 others. This market isn’t just for buying weed from old hippies. 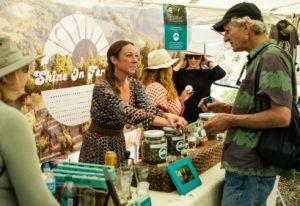 There are non-cannabis products as well if you want to bring a friend or coworker who isn’t into cannabis but loves good food, people, paintings, handmade jewelry and local music. In addition to edible, drinkable, smokeable and vapable products, you can find an assortment of non-edible cannabis topicals (lotions, tinctures, balms), candles, oils and beauty products. A major factor that sets this cannabis event apart is the opportunity to network, educate yourself, and have some plain old fun! Get to know the NorCal farmers growing weed and the SoCal companies producing products derived from it. It’s especially helpful if you’re a fellow grower and/or seller as you can learn how to better your crop, increase your product awareness, gain new customers and meet with potential investors. You won’t leave this market with a sack of potatoes. The event is broken down into eight sections with different things to experience: Farmers Market, Speaker Series, Wellness Village, Food & Beverage, Tribal Village, Dusty Barrel, Emerald Grove, and Featured Activations. The speaker series starts at 1pm and continues until around 7pm, ending with a mixer. Some events last as late as midnight on Saturday and about 10pm on Sunday. Workshops bring together farmers, customers, and companies in an open forum to inform, encourage and entertain. Topics include the state of cannabis legislation, how to keep the green rush moving while bringing the community together, and even “Cannabis and Parenting” if you’d like to learn about raising children in a cannabis friendly household. 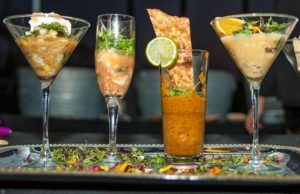 Foodwise, there’s two five course pop-up dinners by Chris Sayegh (hosted by HERB), brunches, food trucks, and local kombucha drinks. 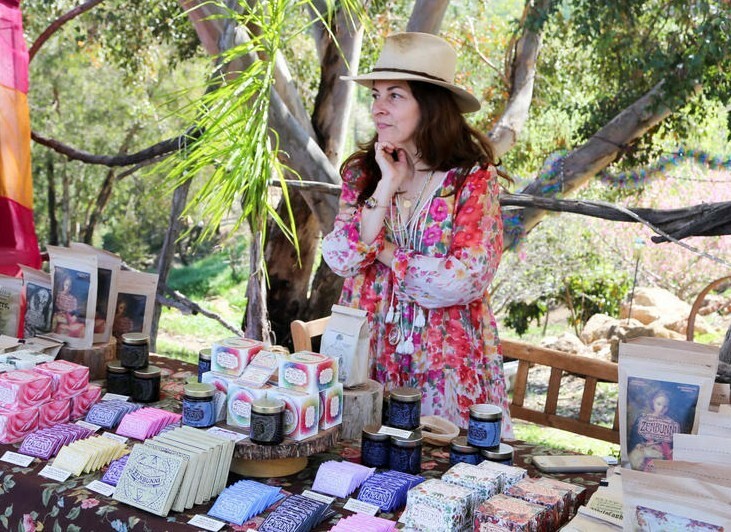 The Wellness Village offers a few different exercise options that include canna yoga, meditation, reiki, essential oils and crystals; then chill in the Tribal Village and listen to live music and DJs while sipping wine or tea and get cannasexual advice from Foria; hear local poets and jazz while trying homemade desserts at the Dusty Barrel. Tickets range from $100 to $350, depending on the package and/or day(s) you attend. Choose from a general one-day pass ($100), two-day pass ($175), or passes to Saturday or Sunday’s five course brunch and/or dinner ($150 each). 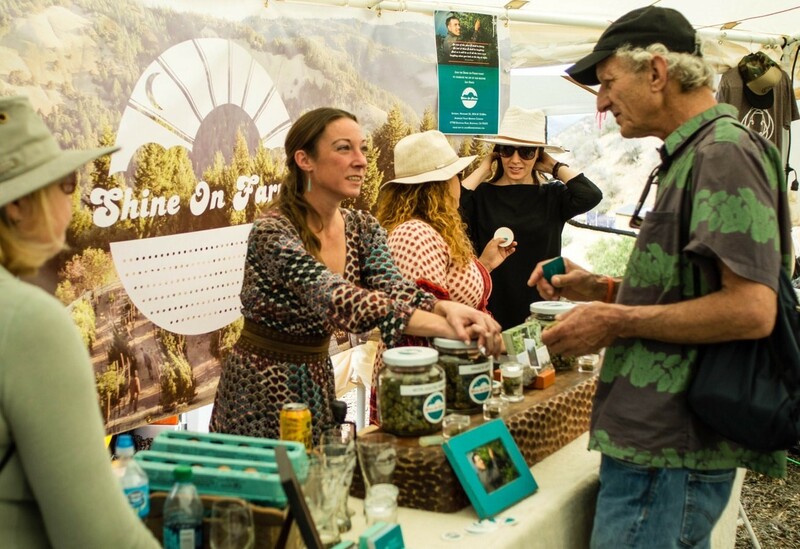 There are also “Passport Experience” ($250 per day) and “Elevate Experience” ($175 per day) passes that allow you to have a much more intimate and interactive experience, including vendor samples and access to a VIP tent with a charging stations, shaded seating, and refreshments like CBD infused mocktails. Daily $20 parking passes are available, though the two-day pass is only ten more bucks ($30) and just another incentive to come back. Absolutely! Whether you’re in the cannabis industry or just a fan, the the Emerald Exchange offers a classy and enlightening experience to satisfy your senses. With all the talks, food and activities, it feels more like a festival allowing you to discover different cannabis aspects that appeal to you, leaving little to be desired. Just remember, when you’re there take some time to stop and smoke or vape as you admire Malibu’s picturesque landscape. What more could you ask for from a farmer?